Congratulations to Grace Crawford on winning the scratch prize and Stephen Gallacher Trophy at the East of Scotland Girls Summer Meeting with a gross score of 73 at Royal Musselburgh on Monday. Kirsten Murison (Craigmillar Park) won the overall handicap prize with a net 68. Eight of the girls from the Summer Meeting qualified for the first round of the Championship which was played on Monday afternoon. Today (Tuesday) now saw two ELLCGA juniors meeting in one of the semi-finals and two Midlothian Juniors in the other. Grace beat Alicja (Ala) 5&3 and Carys beat Eilidh 1up. The final played this afternoon gave Grace the double of the Stephen Gallacher Trophy yesterday and the Championship Trophy today after a 5&4 win over Carys. Well done to both girls for some great golf over the last two days and for the good spirits shown in the final and earlier matches. The Summer holidays have only just started and our Juniors are out on the golf courses around the country. 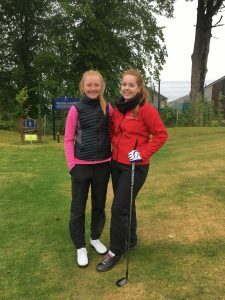 This week Grace Crawford and Lucy Hall played in the Xact Scottish Girls Amateur Championships at Moray. After 2 days of stroke play Grace qualified for the Championship Match Play and having won her 1st round tie lost yesterday in the Quarter Finals 4 & 2 to Kirsty Brodie (Strathmore). 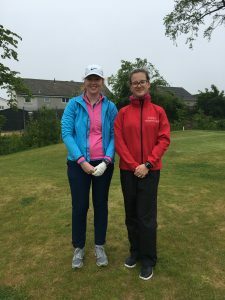 Lucy qualified for the Nett Championship and having played some great golf lost at the 19th hole in the 1st round to Iona Reid (Nairn Dunbar) who made it to the semi-final stages. 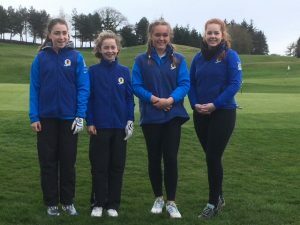 Next week we have 6 girls, Annabel Hosie, Grace Crawford, Annie Wilson, Ala Gorka, Cassie Davidson-McQueen and Emma Rudd playing in the East of Scotland Girls Summer Meeting at Royal Musselburgh on Monday morning and hope that some of them will qualify for the East of Scotland Girls Championship which will be played on the Monday afternoon and Tuesday. Click on the link for the full draw. Finally Joanne Free, Ala Gorka and Annie Wilson have been invited by East Lothian Council to play in their team in the Scottish Ladies Open Pro-am on Wednesday 25th July. Well done Grace and Lucy for doing so well in the Scottish Girls and good luck to all the girls taking part in events over the next few weeks. We have been trying some different formats with the Juniors this year. 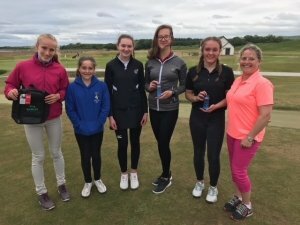 Today we combined the Summer Meeting with the East Lothian Junior League which enabled some of the girls to play for their clubs as well as in the Summer Meeting since the event was a Stableford competition. We had 5 girls playing this year including new member Cera Gemmell from North Berwick who scored a magnificent 43 points! Well done Cera. Indeed well done to all the girls. Dunbar is a long and sometimes tricky course and some of the girls were playing it for the first time. Our thanks also to David Warren and the East Lothian Junior League for allowing us to join in with their event. Kilspindie won the Team event.